Click on the photo or here to buy the print book from Amazon. Also available as a Kindle Book. Alan Samry’s kaleidoscopic book, Stump the Librarian is at once a glorious compendium of quick biographies of one-legged individuals, a moving memoir, a fascinating history of amputations and prostheses, and a medical investigation of the congenital anomaly that left the author with a disability at birth. Samry, a librarian in Fairhope, Alabama, takes joy in the quest for answers and pursues information with the sublime sense of mission that the best librarians possess. With clarity, candor, and a down-to-earth directness, he takes us with him: fascinated, outraged, horrified, thrilled, and ever curious about a world populated—and profoundly changed—by those who not only get by on a single leg but stand far more firmly than many people with two. 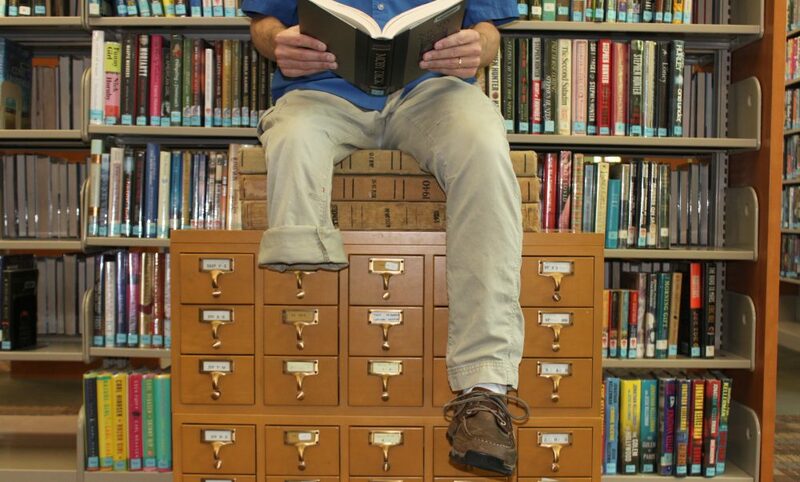 Samry weaves poignant personal recollection through his tapestry of information, making Stump the Librarian a must read. Alan Samry takes readers on his personal journey of curiosity, humor and exploration. In an unlikely narrative readers learn about Alan’s life as a congenital below-knee amputee. In a very delightful and provocative manner, Alan relates his personal memoirs and shares historical and imagined characters who are like-amputees. Alan’s writing style is fascinatingly varied, and insightful into his own self-discovery. He shares intimate details that enable readers to appreciate his story and perspective. This book is a celebration of Alan – his person, determination, and his insatiable desire for truth. This entry was posted in Alan samry, amputee, Books, creative nonfiction, creative writing, librarian, library, Uncategorized and tagged Alan samry, biography, book, creative nonfiction, memoir, Stump the Librarian by asamryfhpl. Bookmark the permalink.